The humble bath is arguably the most important part of any bathroom—so important, in fact, it’s lent its name to the whole room! 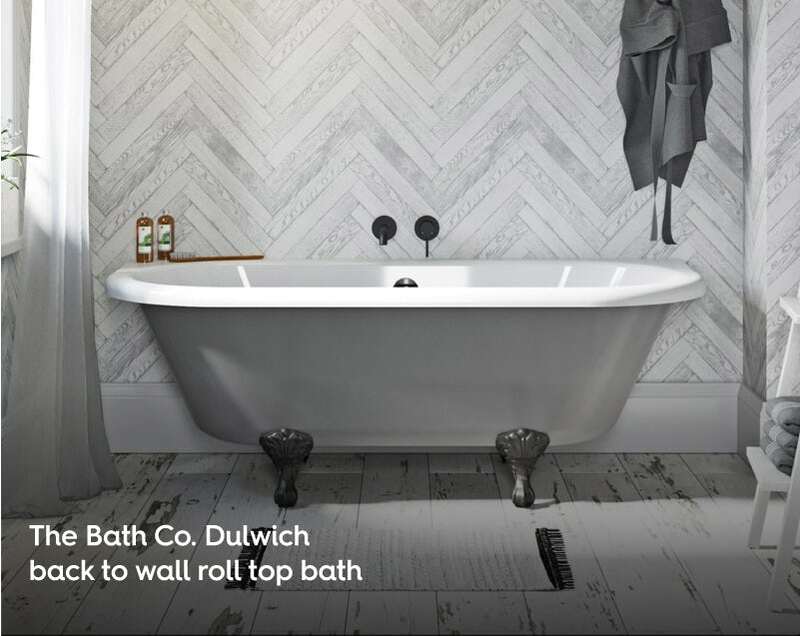 In this article, we’ll be looking at 5 great bath ideas for 2019, demonstrating the latest trends and some innovative designs. Whilst more and more of us enjoy a quick shower at the start of the day, there has been a growing emphasis on the bath as a way to relax, unwind and get away from the stresses and strains of our busy, busy lives. Whether you have the space for a show-stopping roll top or simply need something that uses as little space as possible, we’ve come up with 5 fabulous bath ideas for bathrooms big and small in 2019. Surely, the kind of bath we all aspire to? The freestanding tub exemplifies everything that is great about owning a stylish bathroom. It signifies luxury and opulence, providing an isolated space in which you can let all the worries of the world simply wash over you. If you’re one of the many homeowners who like a more current, contemporary style, it is definitely worth taking a look at our range of on-trend freestanding baths, for something that is minimalist yet stunning to behold. New for 2019, this striking bath features a beautiful asymmetrical design, with gently curved lines that soften the overall look of your bathroom. Complete with an integral base, it is made using a twin-skinned acrylic that is tough, durable and warm to the touch. With a generous capacity of 260 litres, you’ll certainly have plenty of space to enjoy a long and indulgent soak, perhaps with a glass or two of something refreshingly bubbly? Match up with a freestanding bath tap for the ultimate in designer bath ideas for 2019. Odd shapes and awkward layouts are actually more common than you’d think when it comes to renovating your bathroom. Plenty of time and effort has gone into creating bathtubs which make optimum use of space, with innovative designs that are ideal for small bathrooms. From the world-renowned design team at Studio Levien, the Ideal Standard Concept Space collection is full of great ideas for small bathroom layouts. We particularly like this innovative shower bath, which is great for space-saving. Instead of an enlarged showering end, this bath has been designed to taper, allowing for a narrower area of available wall space. 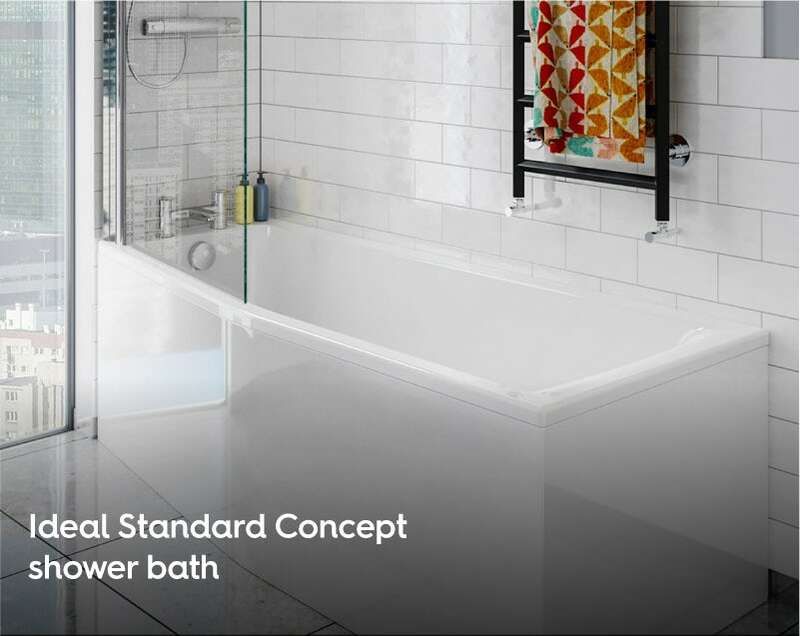 Tested above and beyond UK and European standards, you can be assured of a high quality bath, as this one comes with a 25 year manufacturer’s warranty. A great space-saving bath option for 2019! With our soft industrial bathroom proving incredibly popular at the Ideal Home Show 2018, it’s hardly surprising that many homeowners are choosing this look when revamping their bathrooms. Whilst a freestanding bath may not be practical for many, there are still ways you can add some soft industrial style to a smaller bathroom space. 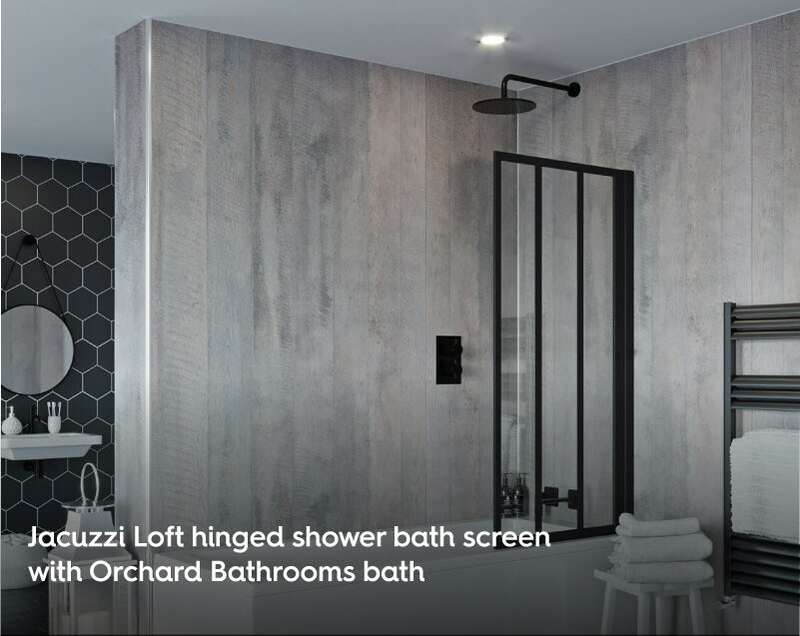 Giving this bath an on-trend edge, the sophisticated shower screen from the Jacuzzi Loft range comes with black frames for a striking appearance that complements the industrial style. With a design which means it can be folded neatly when not being used, you can keep your glass crystal clear with ease, thanks to Securit clear easy clean coating. Why not add a black shower, taps and heated towel rail to enhance the look further? Here’s a conundrum that many people encounter: You really want to add a classic roll top bath to your traditional bathroom but simply don’t have the space. So, what do you do? With this elegant back to wall roll top bath from The Bath Co., there’s no need to compromise style when saving on space. Designed with a straight edge, so it can be sealed against your side wall, this bath comes with all the luxurious elements that make up a classic roll top bath, including a smooth lip for easy access and ornate ball and claw feet in your choice of colours. The acrylic construction is resistant to stains and scratches, so it will stay looking great for many years to come. Meanwhile, the grey exterior is designed to blend seamlessly with vintage furniture and suites from many of The Bath Co. collections, so you can create the perfect timeless look in your 2019 bathroom. The Art Deco period of the early 20th Century is always considered a classic era for design, not least when it comes to home interiors. Creating a Hollywood regency bathroom which wouldn’t look out of place in The Great Gatsby really isn’t too difficult, especially when you choose a show-stopping bath that captures all the charm and razzmatazz of this opulent time. 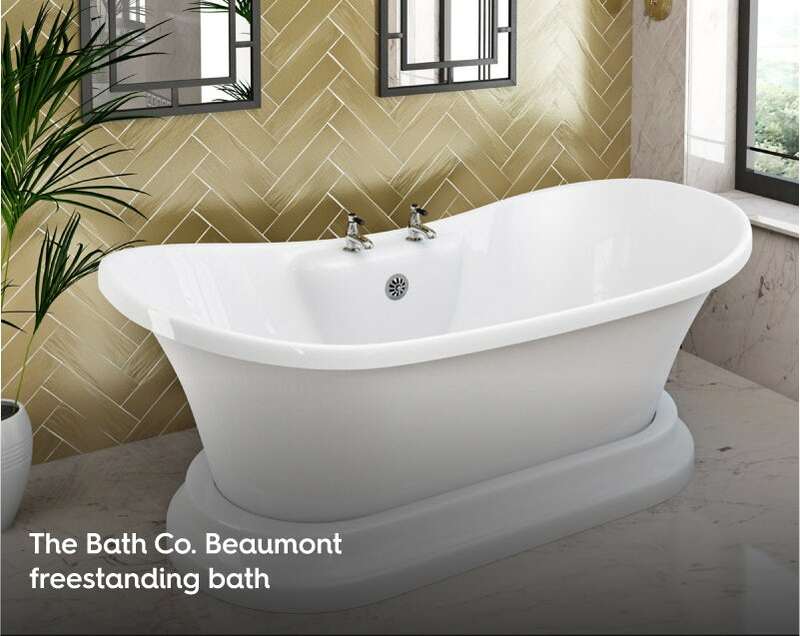 Part of the Art Deco-inspired Beaumont collection, this stunning “bateau” style freestanding bath comes complete with a gorgeous skirted base, plus space for your own choice of deck mounted taps. Made from 3.8mm thick acrylic for supreme durability, it remains warm to the touch meaning you can enjoy longer, more relaxing soaks in your luxurious surroundings. If you’re planning a new bathroom in the new year, why not check out our bathroom ideas for 2019 for more inspiration. We’ve also got some incredible bathroom furniture ideas for 2019, along with some beautiful bathroom suite ideas, to help you on your way. You can take advantage of extended guarantees completely free of charge when you buy any of these baths. So, you can relax, safe in the knowledge that your bath will perform brilliantly well into the future. 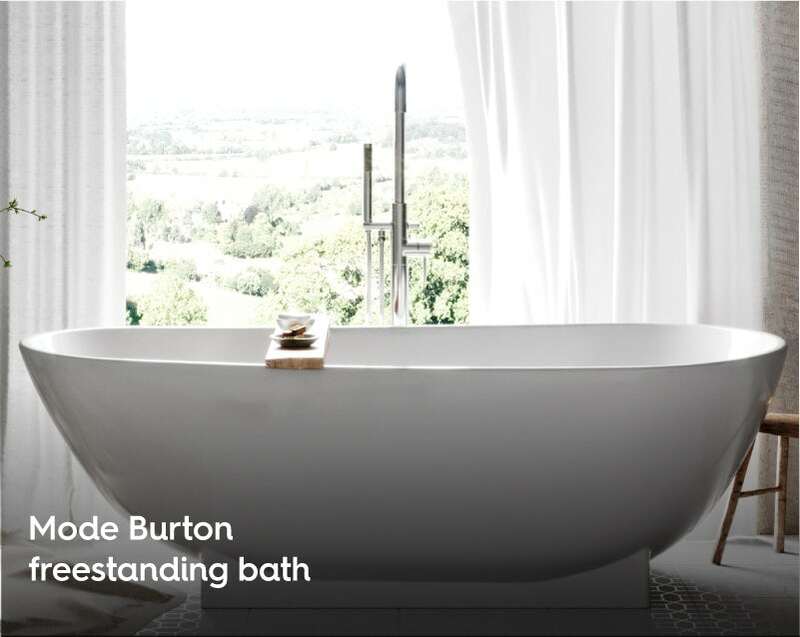 Why not shop baths today? Bathroom furniture is the key to keeping your bathroom clean and clutter-free in 2019. In this blog post, we’ve come up with 5 great bathroom furniture ideas for the coming year. Discover the best bathroom ideas 2019, as we look ahead at the interior design trends which will influence bathrooms this year.